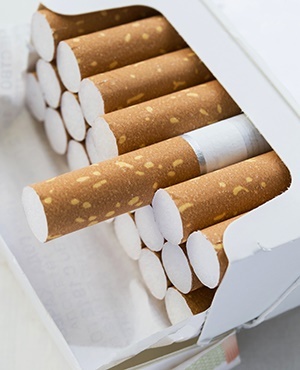 The Tobacco Institute of South Africa has again urged the SA Revenue Service to up the fight against the illicit tobacco trade, saying 55% of the tax body’s recently-announced shortfall could have been redeemed if it had stronger interventions against unlawful trade in cigarettes. On Monday SARS announced a preliminary tax revenue shortfall of R14.6bn for the year ended March 2019. The institute, which represents tobacco product manufacturers and growers, has been lobbying for SARS and other agencies of government to clamp down on illicit tobacco products, which it says are non-compliant with tax laws. The institute's chair, Francois van der Merwe, said the revenue shortfall highlights the tough job the agency's incoming commissioner Edward Kieswetter will face. "The illegal cigarette trade in South Africa, which accounts for over R8bn in lost tax revenue this year, is one area where the new commissioner could make an almost immediate and significant difference to our country at this critical time," he said. "Special efforts are also underway to further strengthen controls and improve compliance within the tobacco and cigarette industry," he said. The institute said what it described as the biggest brand in South Africa - RG, made by the Gold Leaf Tobacco Corporation, was "selling for an average price of just R10 per pack". "This selling price is merely just over half of the minimum collectible tax on each pack of 20 cigarettes," the statement said. Gold Leaf boss Simon Rudland has in the past denied similar allegations. "All our brands are registered with SARS and all excise [taxes] are paid on our products," the company told Fin24 in November.